On the surface, there doesn’t seem to be much unique about you. You get along with everyone, you have a healthy social life, and there’s never a controversy about whether to invite you. But sometimes, you have bursts of unexpected genius or humor, which is why everyone really likes you around. Also, you’d never get an abortion yourself, but you can understand the circumstances that would lead others to making that decision. 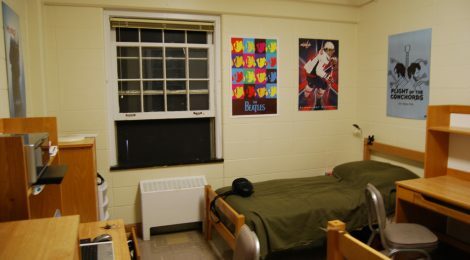 Does your dorm room come straight from the Dartmouth Co-op catalogue? Chances are, you’re very passionate about what you believe in. You always see things through to the end, and your motto is “quitters never win.” You’re true to yourself and to those around you. You believe the government having control over women’s bodies is a violation of personal freedom. You’re a very curious person. You’re always trying new, exciting things and convincing your friends to come along. You’re not exactly an adrenaline addict, but you’re definitely a thrill seeker. To do well in class, you have to be engaged in the subject. Most of all, you cannot condone abortion as it contradicts your religious commitments. By your own admission, you used to hold a rather conservative view on abortion. As far as you were concerned, there was no justification for it. Then, one breezy autumn day, you were walking in the park with your elder sister, Galina. Between conversation points, your sister took a deep breath, paused for a moment, and confided in you. She had gotten into some trouble and needed an abortion. You were conflicted at first, not knowing what to do. But Gali had always been there for you, so you knew you had to return the favor. That was the day you become an abortion rights advocate. Your favorite color’s magenta, you have a cat named walnut, and you like abortion.